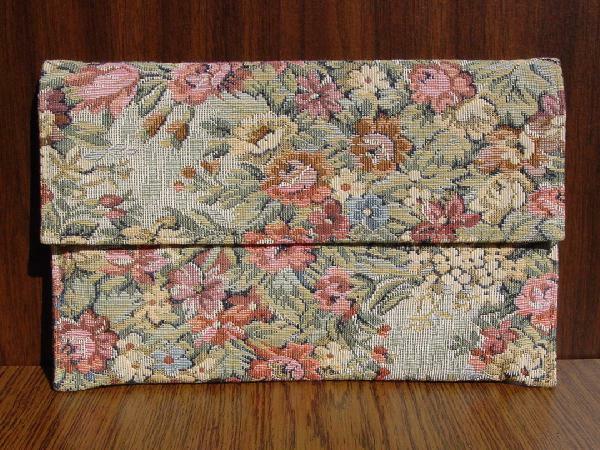 This vintage tapestry clutch is by Shirl Miller. 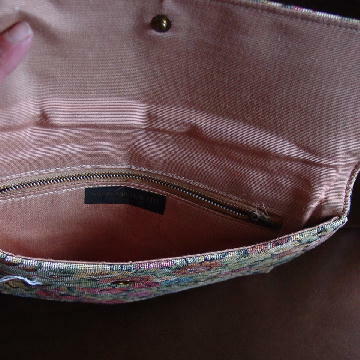 It has a peachy-tan fabric lining with a roomy interior pocket that zips. You could attach a short chain and carry it as a purse, or a longer chain and use it as a shoulder bag. It's from a stylist's collection, and was used in a photo shoot with the Johansen tapestry shoes.